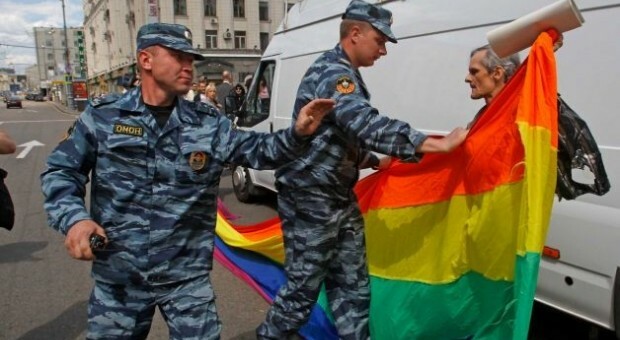 Russia has reportedly taken steps to ban homosexual and transgendered people from obtaining their driver’s license. Russian Prime Minister Dmitry Medvedev signed off on the new policy on Dec. 29. The claim is that Russian roads will be safer without such individuals behind the wheel. The Russian government has not offered up any evidence would suggest that these groups of people are less capable of operating a motor vehicle. And I’ll call it right now: they never will. The only evidence that shows anyone of being incapable of operating a motor vehicle is if they are inebriated. And unlike the Russian government, inebriation does not discriminate. Being able to drive or not is based purely on skill – something that is developed through training and practice. It does not matter in the slightest who you are when you were born. In other words, banning gay, lesbian and transgendered pride. Needless to say, this new law is as ridiculous as the Saudi Arabian Cleric who claimed women should not be allowed to drive because it would damage their ovaries. Even though driving is not necessarily a right, discrimination is discrimination and this is one of the highest, most blatant forms of discrimination. It will especially hit hard for those who are being discriminated against since Russia has the biggest land mass on earth and therefore most people do need personal transportation to get around. What do you think of Russia’s new law? Sound off in the comments.